Six of the women featured in Sports Illustrated’s annual “Fittest 50” list are among the running world’s brightest stars. We noticed something about Sports Illustrated’s annual Fittest 50 list, which came out last week. Of the 25 awesome women included, six of those are some of our sport’s very own shining stars. Five athletes trained in athletic performance, coaching and physical therapy created this year’s list, which assessed men and women based on criteria that included the physical demands of each individual’s sport and the goals they’ve reached as a result of those efforts. Here’s a breakdown of who made the list. The 2018 TCS New York City Marathon winner earned her spot on SI’s list for her fourth career course win, during which she set the race’s second-fastest women’s time in 2:22:48. 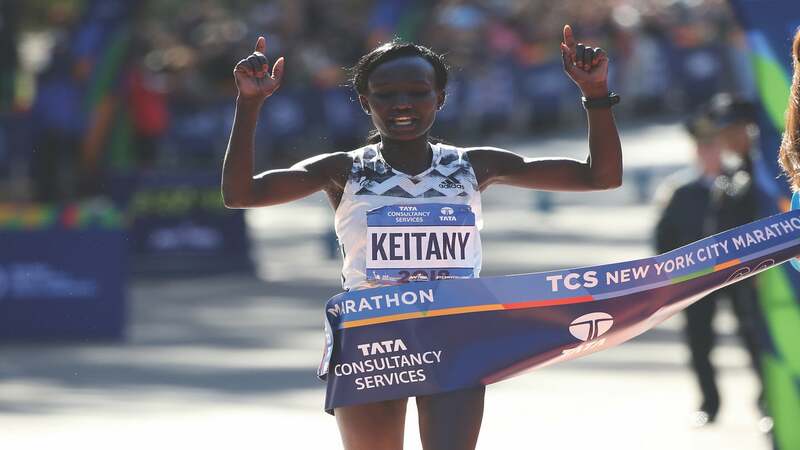 Keitany is also the world record holder in the women-only marathon, an accolade she earned by finishing the 2017 London Marathon in 2:17:01. “I think it is so cool what we are physically and mentally capable of,” Dauwalter told Women’s Running late last year. After winning the Moab 240 Endurance Run in 2017, the trail champ seemed unstoppable—and she’s continued devouring trails with increasing amounts of speed and skill in the months since, with tons of ultras (including the 150-mile Spartathlon in Greece) remaining on her bucket list. Fifteen months after winning the first-ever American gold in triathlon at the 2016 Rio Olympics, Jorgensen shocked fans by announcing she was done with tri—she wanted to take on the marathon instead. Though her first post-triathlon stab at 26.2 in Chicago last October didn’t go precisely as planned, Jorgensen remains determined to reach for the podium in Tokyo in 2020. Coburn’s #BossLadies running group came into the spotlight last year, but that’s far from her biggest achievement. She’s been one of American steeplechase’s top contenders since 2011, when she won her first gold in the 3000m at the USA Track and Field Outdoor Championships (she’s renewed her title four times since, including in 2018). Coburn is expected to return to the IAAF World Championships for her fourth time this summer, where she will defend her title in the same event. The 800m track pro set records for her native South Africa during Diamond League meets last year, but 2018 was perhaps most notable for her because of the IAAF’s ongoing debate over hyperandrogenism. 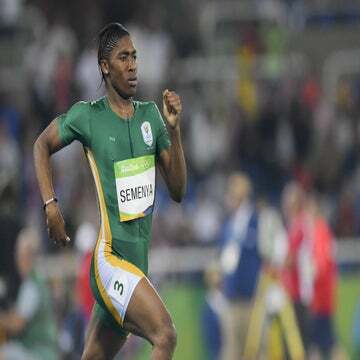 After the IAAF’s most recent ruling over admissible testosterone levels in female competitors last October—a ruling that affects Semenya and few others—Semenya announced her intention to contest the decision in 2019, the result of which is expected to be revealed in late March. At 23 years old, Asher-Smith has been taking home the gold at international competitions since she was 17. Following strong performances in the 200m and 4x100m relay at the 2017 IAAF World Championships, she won the gold and bronze medals at the 2018 Gold Coast Commonwealth Games (for the 4x100m and 200m, respectively) and swept golds in the 100m, 200m and 4x100m at the 2018 European Athletics Championships. Each woman featured on this list is in excellent company—and we’d be remiss to leave out Caterine Ibarguen, the master of the long jump and triple jump, and triathlete Daniela Ryf, who also earned spots on this year’s list. Way to go, ladies!